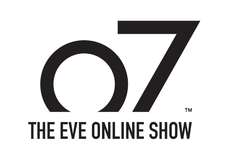 This coming Sunday the o7 show returns at a new time, moving from its usual Thursday slot to Sunday prime time. Behind us is Fanfest and the Citadels expansion, ahead of us a summer full of space goodness! CCP Seagull, Executive Producer for EVE Online, is gonna talk to us about what's coming to EVE this summer and we'll also have a couch full of developers to interrogate on the subject. As always we´ll have all kinds of videos to show you and we'll be giving out ship skins and PLEX in chat during the show. We´ll also have special skins for a few lucky players who use the #o7show hashtag on Twitter to help us spread the word. Previously only broadcast on our Twitch channel, the show will now be broadcast on our YouTube channel and for the first time on Facebook! See you Sunday at 20:00 UTC (EVE time)!